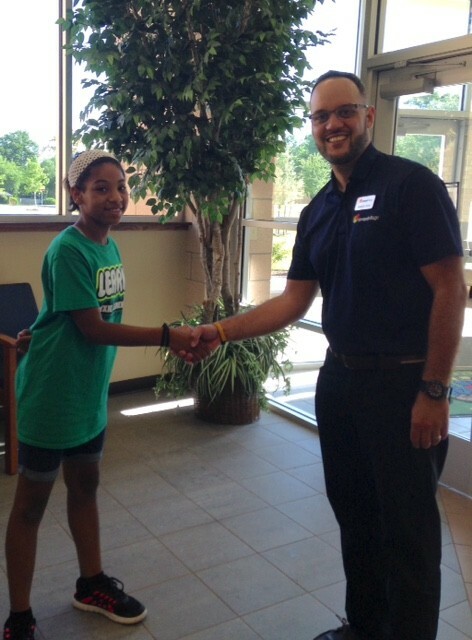 Thank you for sending encouraging words to our 3rd-5th graders! Routine & Schedule- pick up students at 7:45 and stick to your regular schedule as much as possible. Student engagement- when students are engaged in meaningful activities, they are less likely to misbehave. Please avoid long periods of busy worksheet, videos, or non-structured activities. Active supervision is critical! Keep calm and professional in all situations- remember the "water bottle" and "coke bottle" demonstration? We choose our words, actions, and moods. Let's all strive to be a calm water bottle, not an explosive, bubbling coke bottle. 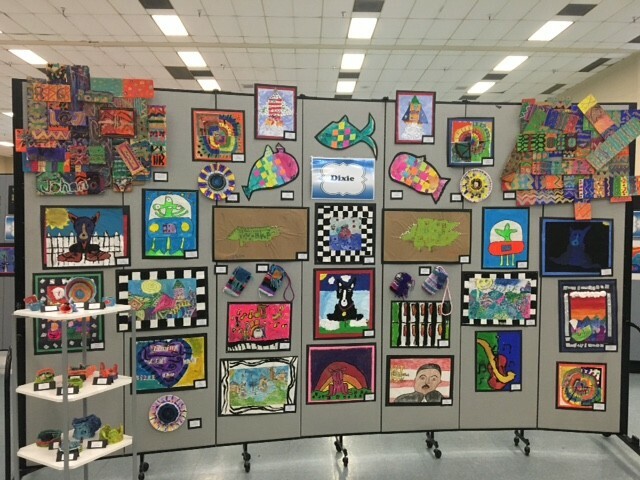 Ms. Vaughn did a superb job displaying Dixie students' art work. Our students are so creative and talented! 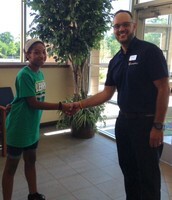 Students greeter demonstrated great hospitality to Career Day speaker. Great job, Ms. Kornman! 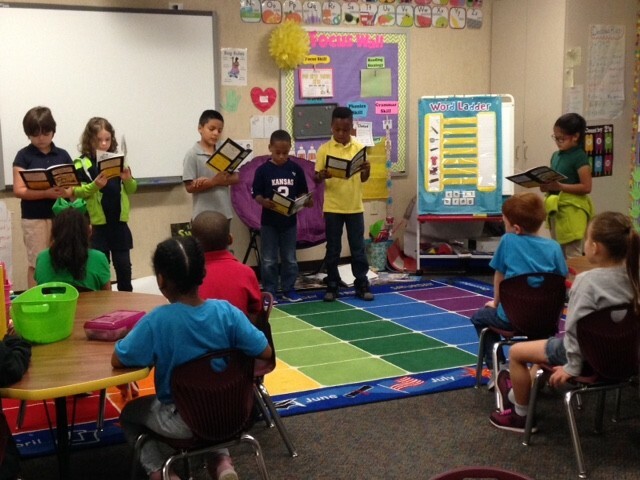 Her students performed reader's theater in K/1 classrooms. 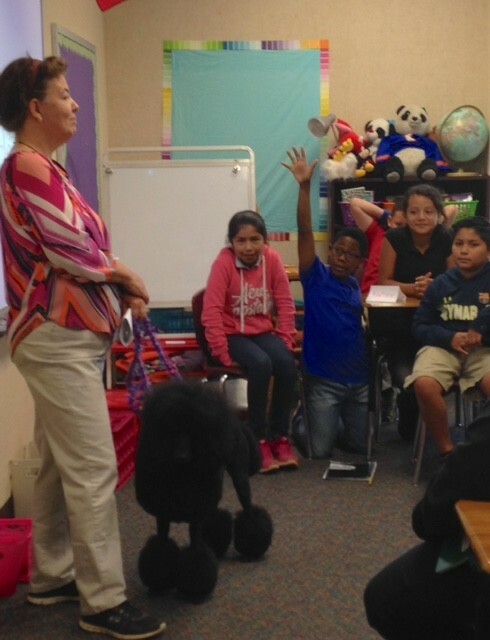 What does it take to be a dog groomer? 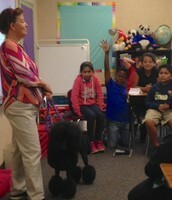 Students had great questions for our guest speaker. 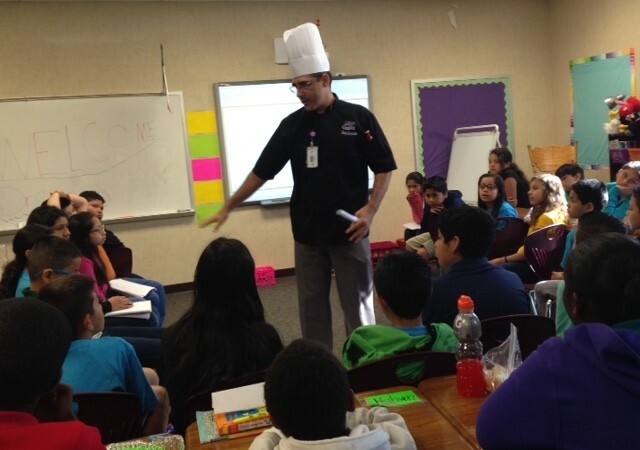 Students learned interesting facts from the chef. Thank you, Ms. Crisp! 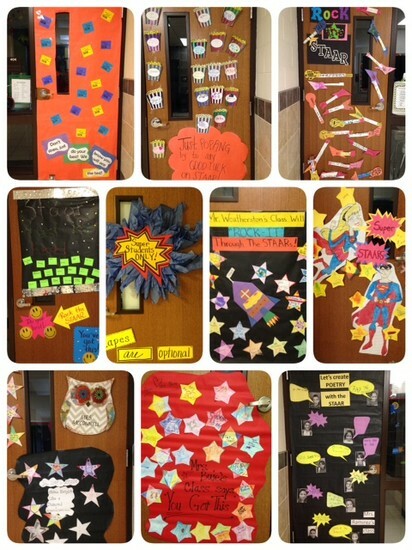 Great job coordinating TWO successful Career Days! 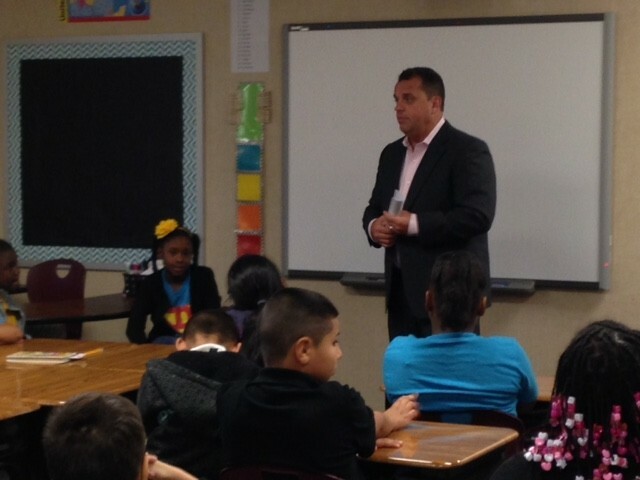 Dr. Crawford shared his career journey with our students. 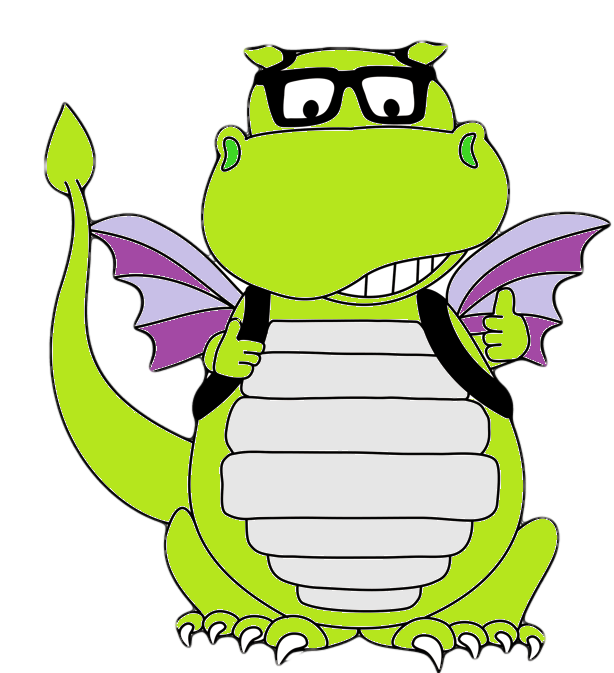 5/16/16: PLC this week- make class list / Progress reports finalize by 9 a.m.
5/19/16: 3rd & 4th grade filed trip / 5th grade dance 5-7 p.m.
5/20/16: College Day / All library books due / Hispanic Heritage Event 5:30-7 p.m.
5/31/16: Kindergarten Graduation 8:30-9:30 a.m. / Head Start Graduation 1-2 p.m.